38 - $99.99 Only 3 left! 42 - $99.99 Only 6 left! 44 - $99.99 46 - $99.99 48 - $99.99 Only 2 left! 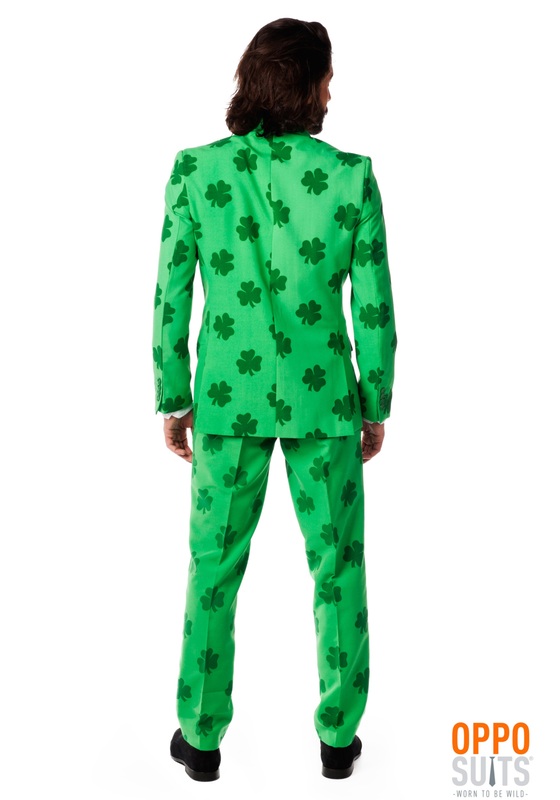 Sure, celebrating St. Paddy’s Day is always a blast, but as the years pass by you feel that something is missing. Well, we think that something is a hint of class. Everyone is running around in leprechaun costumes, random green jewelry, and shirts that read ‘Kiss me, I’m Irish’. It’s not really a high-brow scene, but you can change all of that. We’ve found the classiest way for one to celebrate this Irish-inspired holiday. 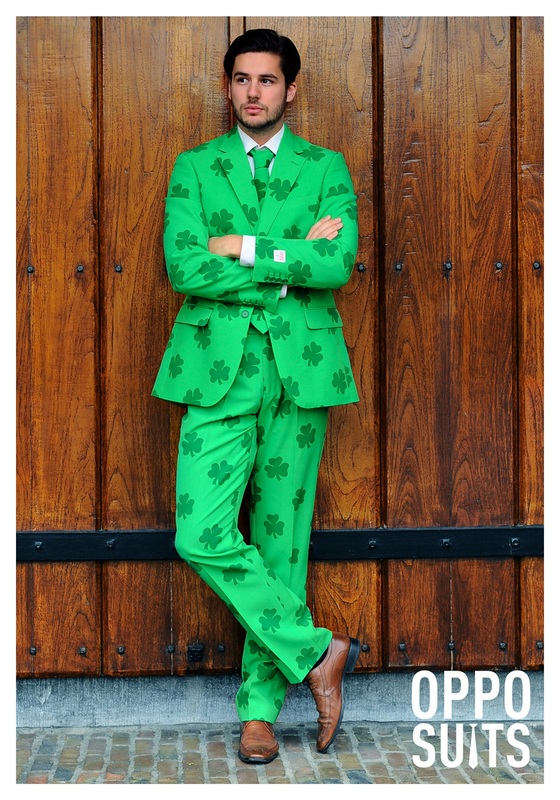 You just need to toss on this amazing Green St. Patrick’s Day Suit, brought to you by OppoSuits! 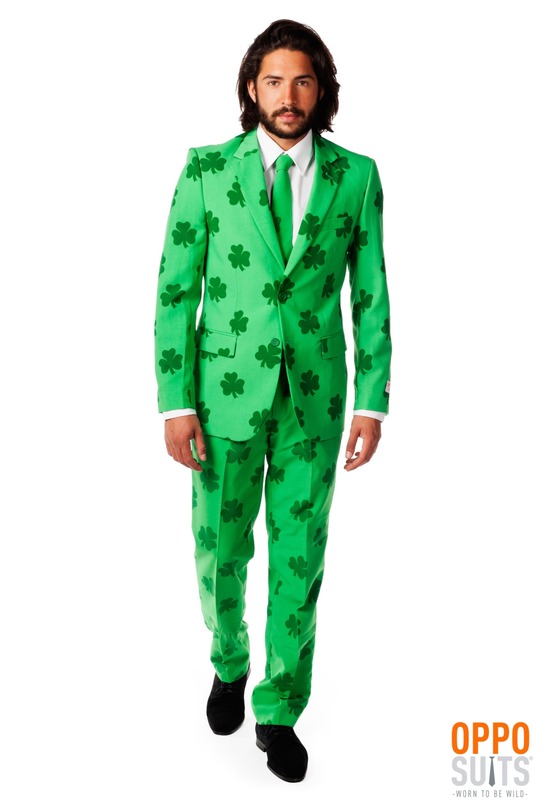 When you enter the party scene wearing this awesome suit everyone will see that you’ve somehow mastered how to dress both classy and fun, at the same time. Now, some may be jealous but we think that most people will just be super impressed! This two-piece suit will cover you from the top of your shoulders to your ankles in a lovely light green. 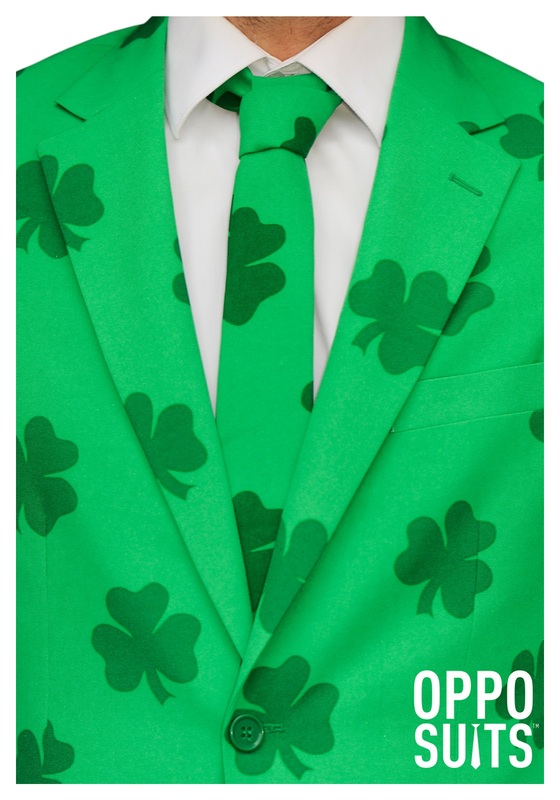 Printed all over this suit are as many clovers as you can find in a meadow. A tie is also included with the suit and it even matches the rest of your attire! You’ll be covered in so many clovers that you’ll be the luckiest person anywhere you go, without a doubt. If you want to make this outfit a bit more playful, take a look through our accessories. You can grab yourself a green top hat and a matching cane. 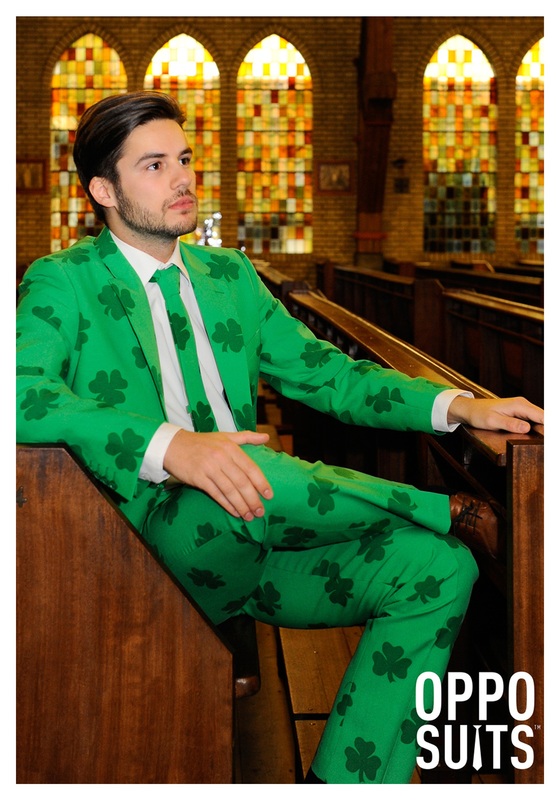 With this amazing OppoSuits outfit, people might actually think that you are St. Patrick himself! Love how subtle it is! The elastic waistband is great since size of items bought on line tend to vary. Have you given any thought to Hanukkah and Easter suits? I'll be passing that along, thank you for the feedback! Enjoy the suit, and let us know if you have any other questions.